I believe in the Stay Metrics mission to change the trucking industry by improving the experiences of drivers. I'm excited to join the team. Stay Metrics, the leading provider of driver engagement, training and retention solutions for the transportation industry, announces the hiring of Jerry Scott as Chief Operating Officer. Jerry Scott joins Stay Metrics during a period of significant growth for new clients, employees, products and services. In 2018, Stay Metrics expects growth to accelerate as motor carriers look to it for evidence-based driver retention solutions in an increasingly competitive environment marked by record sign-on bonuses and pay increases. “Jerry will play an instrumental role in helping us continue to develop the right people, products and high-performance culture to meet the present and future needs of our customers,” said Tim Hindes, co-founder and Chief Executive Officer of Stay Metrics. Among the products and services that Stay Metrics administers are a robust Driver Survey platform to help carriers prevent early-stage turnover; advanced data analytics and predictive modeling focused on driver retention; and a custom, online Driver Rewards platform that carriers use to engage drivers and build loyalty. Jerry Scott comes to Stay Metrics with extensive transportation experience. He served in various leadership roles in safety, operations and human resources at Towne Air Freight, a less-than-truckload provider, for more than 20 years. “Jerry brings a level-headed approach for injecting technology, research, and processes into an organization and his servant-based leadership style matches our culture,” said Kurt LaDow, co-founder and Chief Administrative Officer of Stay Metrics. Most recently, Jerry managed the operations of a regional insurance and risk management provider in Indiana, and was the COO at a fast-growing startup in the financial services sector. 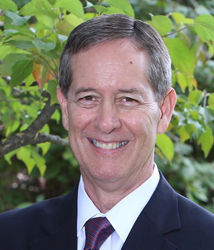 Jerry Scott earned a bachelor’s degree in economics from the University of Tennessee-Knoxville. He and his wife of 31 years, Janet, reside in South Bend, Ind., and have a married daughter who lives and works in Chicago.